As we head ever closer to this years fabulous Musicport Festival, tickets are selling fast and festival goers are being urged to purchase their tickets as soon as possible to be certain of not missing out and being disappointed. Maven Fiction Is the Yorkshire based, indie-electro project of 22 year old singer/songwriter Aaron Ward (guitar/vocals), accompanied by Eddy Ellison (drums) and Joe Mitchell (keyboards and synths). 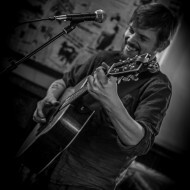 Tom Davenport has been a musician on the Scarborough scene for ten years, since relocating here from Scunthorpe. Now he teaches a wide number of students of all ages and abilities, as well as gigging most weekends. Fresh from supporting Status Quo this Summer at the Open Air Theatre in Scarborough, we catch up with Jesse Hutchinson, lead singer and guitarist of Alabama Paydirt, before their headline performance on the Saturday at Acoustic Gathering 2013 in Peasholm Park, Scarborough.